The brief for a duplex apartment for a couple and teenage son was to be inspired by a modern French style with a touch of lavishness. The design incorporates the old with the new and lets unique pieces complement one another and stand together, that attempts to display an interior that has grown and been collected over the years . 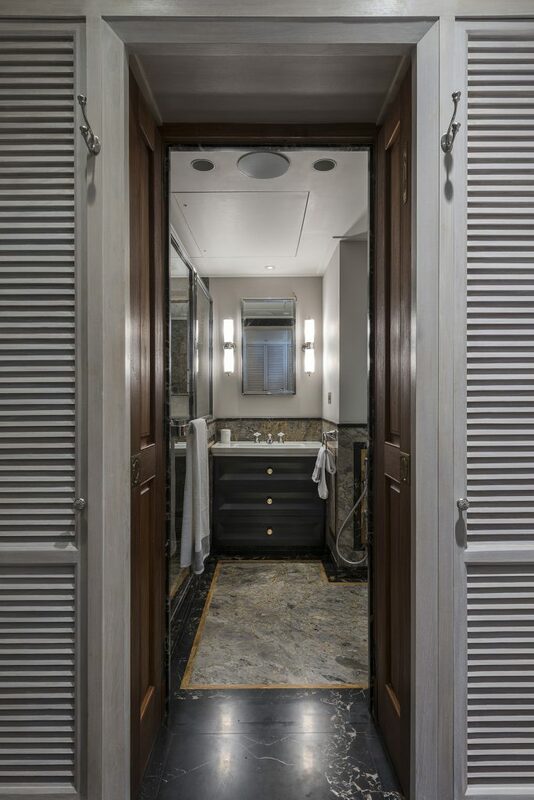 The classical here is created by subtle detailed wall panels of custom proportions that run throughout the house changing material as the space demands. While all rooms are derived from a common lineage, each one has its own unique character as well. Often the differences are subtle, but sometimes they are dramatic, emphasising the cohesive quality of each space, and therefore turning this house into a collection full of rich experiences. 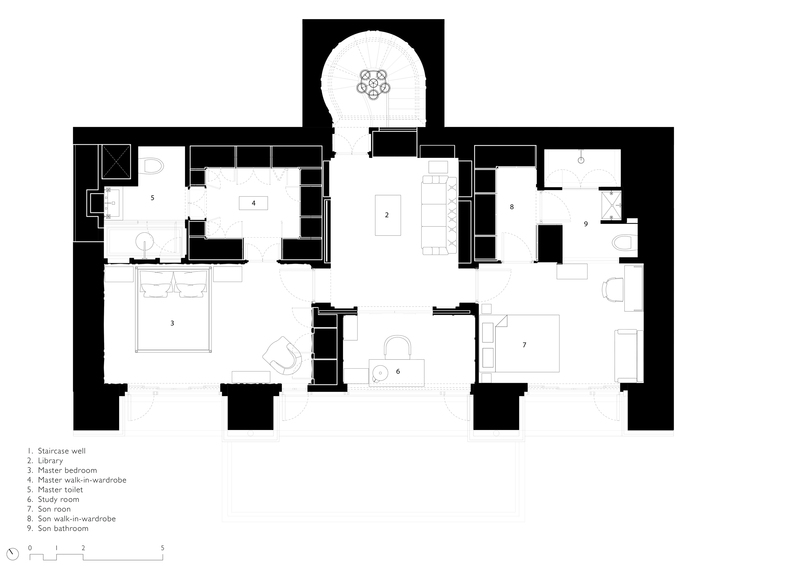 Each room is defined by encompassing architectural detail, material and colour scheme. An obsessive compulsion for symmetry has created a unique layout. 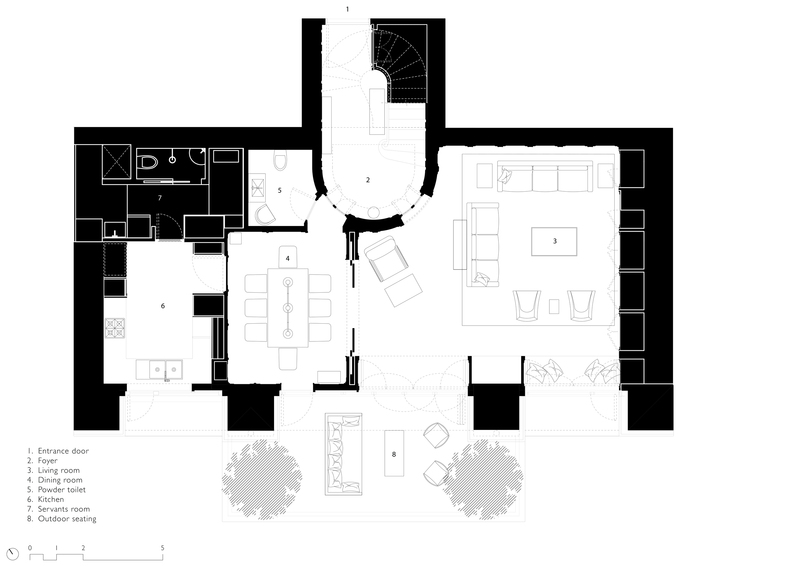 The technique of modulating the leftover space in between self containing rooms, “the poché”, enables the symmetrical layout of internal elevations. However this in between space has not gone to waste in an apartment like this where every square inch counts. 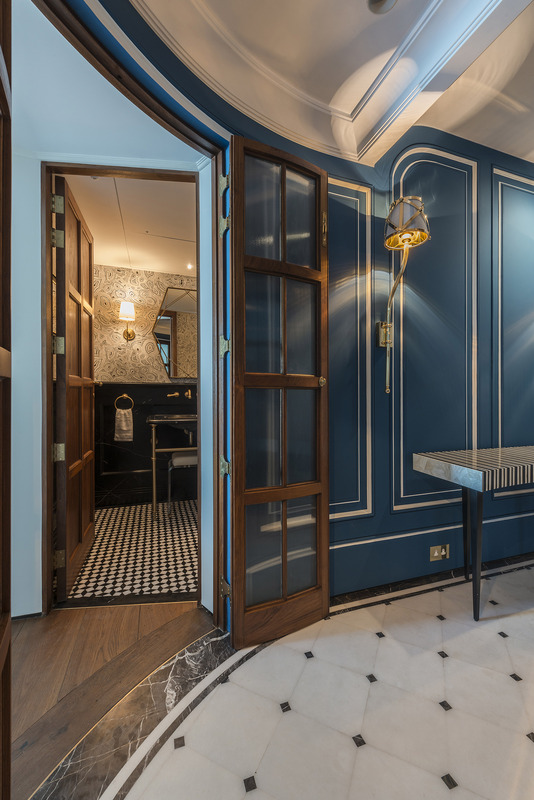 Everywhere you will find hidden pockets, invisible doors, a secret bar or wine cooler, niches, cupboards or wardrobes to fully optimise the poché, hidden from sight by the excessive architectural detailing. 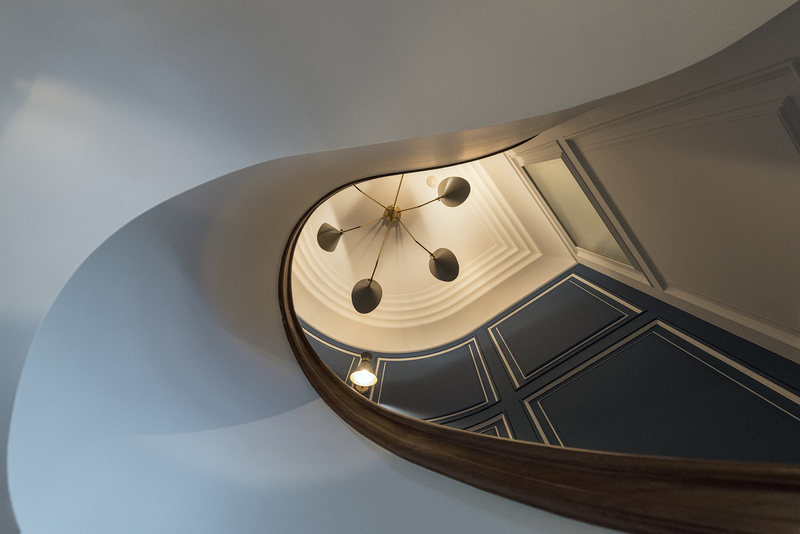 Looking up at the staircase winding its way with a contemporary chandelier adorning its place in the space. 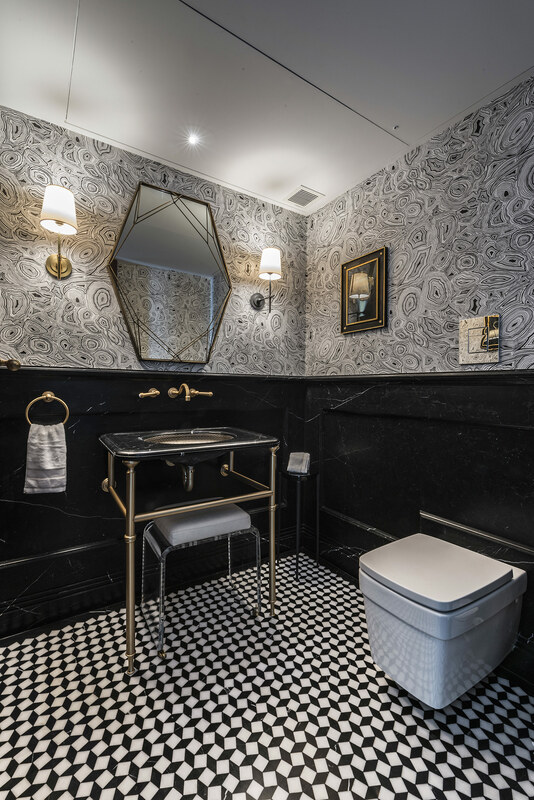 The powder room is a dark space, heavily embraced by a solid Nero Marquina marble wainscotting and a patterned floor of small black diamonds and white squares. Opening the doors to the dining room. Opening the doors from the staircase. 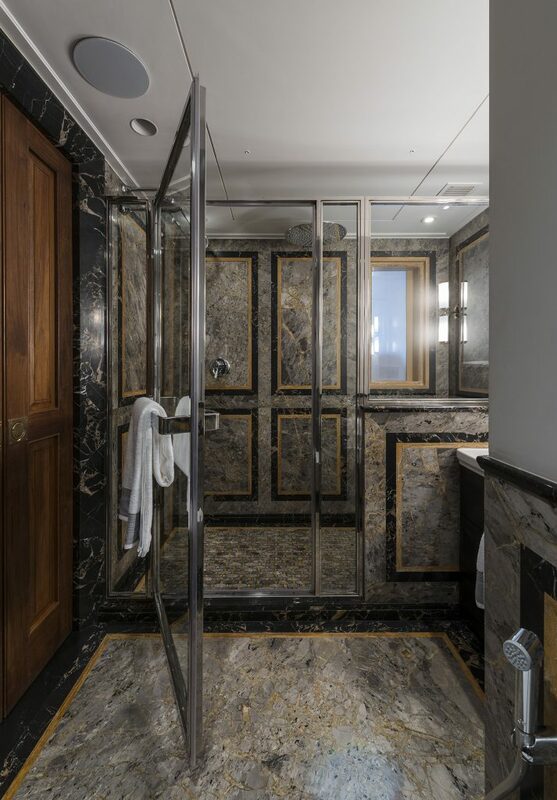 The bathroom combines the three different marbles used on the wall panelling to create a flattened hexagonal mosaic floor in the shower. A switchable glass brings much needed natural light from the brightly lit bedroom into the bathroom space. 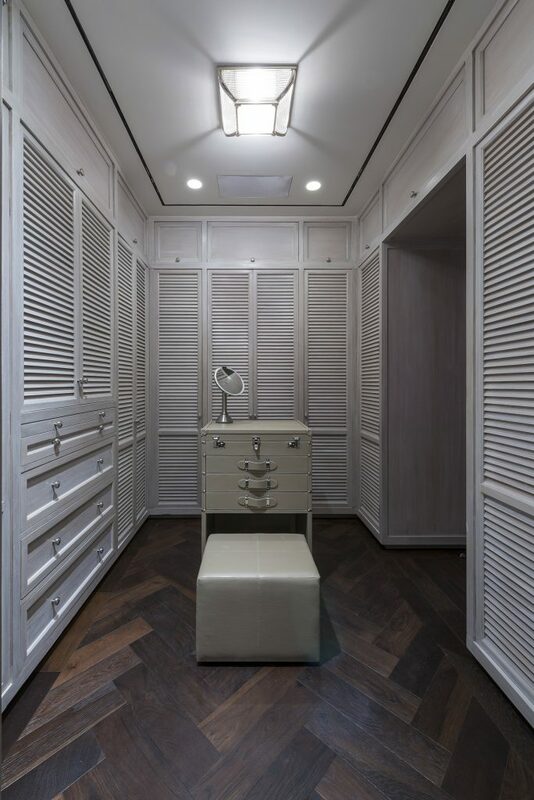 The walk in wardrobe is detailed in all surrounding louvered shutters finished in a distressed white paint finish. A light from Ralph Lauren home decks the ceiling and lights up the space elegantly.